“Do you want to know how I got to be so smart?” That’s the question a friend of mine has recently begun asking me at the end of our conversations. He is not only a friend. He is also, for me, a teacher and mentor. He and I often speak about life, prayer, theology, and relationships. I always come away from our conversations with new insights and truths about my life. He opens my eyes to things about myself that I either did not or would not see. He offers me a larger vision of my life. Then he laughs and asks, “Do you want to know how I got to be so smart.” I always say, “Yes, tell me,” and he always gives the same answer. It never changes. It’s just one word. It’s always the same word. Suffering. “Michael,” he says, “most everything I’ve learned in life, I have learned through suffering. That’s not what I want to hear. I don’t like his answer but I have begun to recognize that he is telling me the truth. It’s the same truth Jesus speaks in today’s gospel (Matthew 16:21-28, Proper 17A). Neither my friend nor Jesus are talking about suffering for suffering’s sake. They are speaking about a different kind of suffering. It is the kind of suffering that happens when our home made, self-created, programs for happiness no longer work. We all have our programs for happiness. These programs for happiness underlie the expectations we have for ourselves and others. They are the illusions that distort our thinking and seeing. They are the delusions that we readily accept and refuse to question. Our programs for happiness are designed to insure our survival and security, to give us esteem and affection, and to put us in power and control. Our programs for happiness work fine until they don’t, and there will be a day when our programs for happiness fail. On that day we come face-to-face with our own powerlessness. We recognize that we are not and never were in control. We realize that we are unable to save ourselves or anyone else. On that day we suffer. That suffering can, however, open our eyes, hearts, and minds to another way, a new way, a different way. It’s not hard to discover our programs for happiness. Look for the places of fear in your life. I don’t mean just any fear. I’m talking about the kind of fear you feel in the pit of your stomach, the kind of fear that keeps you awake at night and enveloped in darkness, the kind of fear that stalks you in the daytime. That fear is telling you that one of your programs for happiness is being threatened. Look for the places anger. What are the things that push your buttons and cause you to react in a way that leaves you wondering where that came from? Are there some people with whom you seem to have the same arguments and the same conflicts over and over again? One of your programs for happiness is being challenged and is at risk. Do you ever feel as if you are just out of sorts, you’re all wound up, and you’re just not yourself? Somewhere in that one of your programs for happiness isn’t working. In all of these examples someone is messing with your program for happiness. That’s what Jesus is doing in today’s gospel. He is messing with the Peter’s program for happiness. Jesus messes with all our programs for happiness. He tells us the cross is the way to life. And that makes no sense to most us. It doesn’t fit in our programs for happiness. “God forbid it, Lord! This must never happen to you,” Peter says. We might also add in parenthesis,”Or to me.” Peter is trying to protect his program for happiness. He has his mind set “not on divine things but on human things.” Peter wants Jesus to be a part of his program for happiness rather than becoming a part of Jesus’ program for life. How often do we do that? In last week’s gospel Peter confessed Jesus to be the “Messiah, the Son of the living God.” Now Peter wants Jesus to conform to Peter’s understanding of what that means. Don’t we sometimes do that? We believe, know, confess, pray, and then we expect Jesus to participate in, support, give success to our programs to happiness. That’s neither who nor how “the Messiah, the Son of the living God,” is. Peter correctly named who Jesus is but he misunderstood with that name entails. 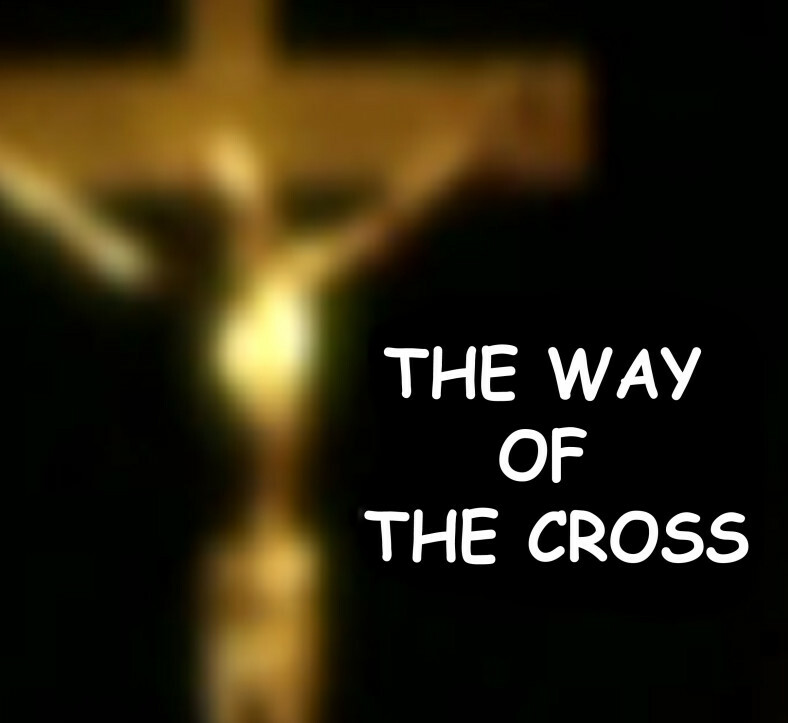 To deny the way of the cross is to ask Jesus to leave us and the world unchanged. It means we are willing to settle for moments of happiness. Christ offers more. We can never really understand what it means to believe in, confess, or follow Jesus as “the Messiah, the Son of the living God,” until we deny ourselves, take up our cross, and follow him. The cross is not usually a part of our program for happiness. It sure wasn’t a part of Peter’s program. The cross stands as a sign of contradiction to our programs for happiness. God does not give us crosses to bear. The burdens, difficulties, losses, and frustrations we encounter every day are not our cross. They are just the circumstances of life. Taking up our cross is not the means by which we are made good, acceptable, or lovable in God’s eyes. They’re not God’s punishment for our sins or his test of our faithfulness. The cross does not justify our sufferings in this world, it transforms them. To deny ourselves, take up our cross, and follow Christ means that we are willing to let go of our self-created programs for happiness. It means we are willing to exchange our programs for happiness for abundant life, and to forego “the taste of death.” That’s what my friend has learned and that’s what Jesus is teaching Peter and us. What are our programs for happiness? What will we do with them today? Tomorrow? The next? Do we want to really live or do we just want to try to be happy?